Each apartment includes air conditioning, window coverings, kitchen with modern appliance package and breakfast bar. Some select units will have a built-in microwave. 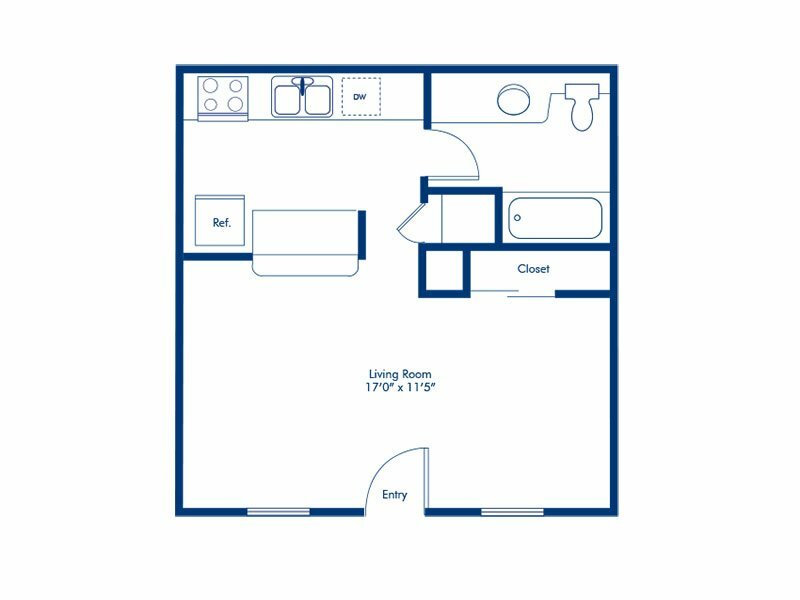 Our furnished studio comes with a Murphy bed and a full size bathroom. Cable/digital TV is available.